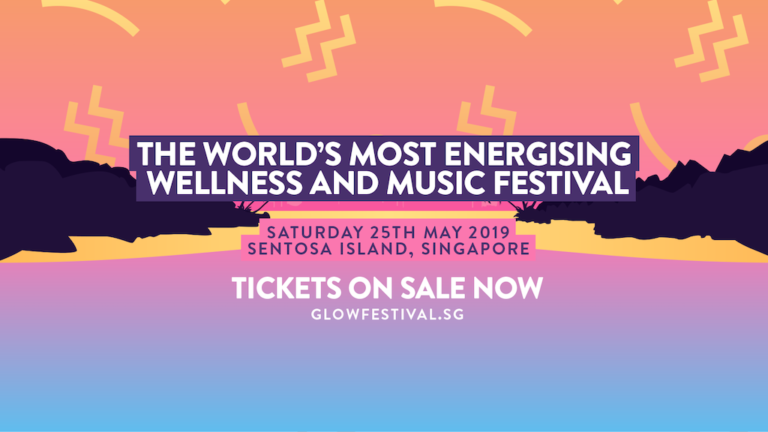 The first of its kind to be held in Singapore, AIA Glow Festival – The Ultimate Festival to Unwind – is a health and wellness event for the 21st century. The festival brings together international yoga stars Marysia Do, and Patrick Beach, multi-award-winning music acts Lost Frequencies and Rudimental and other feel good festival favourites, for an experience that celebrates some of the best things in life – health, wellness, food, music and community. Catch your favourite chefs and restaurants as they take up the challenge to create wholesome and healthy twists on festival bites, celebrate the spirit of community and the joy of giving back at the festival’s 5km run for good. Taking place at Sentosa Island with a total festival space that spans 17,000sqm(approximately the size of more than 38 basketball courts), AIA Glow Festival will deliver specially curated experiences that aim to make participants feel good inside out from sunrise to sunset. Featuring a dynamic roster of activities to nourish the mind, body and soul, classes under the grand Cupola, the coolest yoga space in Singapore, will be led by international yoga teachers Marysia Do and Patrick Beach. As the sun goes down, the festival lights up with electrifying performances from international headline acts including critically acclaimed Belgian DJ, Lost Frequenciesand chart-topping London band, Rudimental. The concert will also see some of the biggest local acts. Run – Kick start your day by doing something great. Join us in a 5km run for good around our incredible Sentosa island. Yoga – Grow and glow with our international yoga teachers as they share their craft with a thousand other Glowgetters on the main stage under the beautiful grand Cupola. AIA Glow Festival will also be collaborating with Pure Yoga to curate over 30 different classes and masterclasses to get you glowing from inside out. Fuel – The Marketplace is where you can try our wholesome take on festival food. AIA Glow Festival is all about the feel-good feast, with super fresh and wholesome foods that will help you feel your best. Fuelling your glow all day, all night. Music – As the sun sets, you’ll see how everything will begin to glow with you as the party atmosphere turns up into a musical feast that feeds your mind, body and soul. End the day right and party with the biggest local and international music acts including Lost Frequencies and Rudimental, guaranteed to give you an exhilarating experience like never before.